Home » Blog » What Is PFO (Processed Fuel Oil)? Processed Fuel Oil (PFO) is an oil made from a mixture of used lubrication oils. Due to its low carbon emissions, it is often used as a replacement for Heavy Fuel Oil (HFO) and Medium Fuel Oil (MFO). What Can Processed Fuel Oil Be Used for? PFO is becoming increasingly popular among businesses that use industrial boilers. Due to the range of benefits that come with using PFO, it has become popular in industries such as power stations, food processing plants, hospitals, and dairy farms. What Are the Benefits of Using PFO? It is often cheaper to buy than HFO and MFO. Little preparation is needed to switch over to PFO. Lower carbon emissions than HFO and MFO. PFO can also be used a replacement for kerosene and gas oil. How Do I Prepare My Boiler for Using PFO? When you change over to PFO, you don’t have to get any extra equipment for your boiler. The only thing you will need is an engineer to change the settings on your industrial boiler to suit the new fuel. PFO doesn’t require trace heating in order to be used, which is something that will save you money straight away. Does This Mean I Can Mix PFO in with My Current Fuel? While PFO can be used as a reliable replacement for several oils, it is still advisable that you keep them separate. This is because PFO has a different viscosity to other fuels. For the best results, it is best to make sure that your tank has been cleaned and fully drained before you add PFO to ensure that everything works properly. How Often Will My Boiler Require Maintenance? While there are many benefits to using PFO, it is likely that you will have to clean your boiler on a more regular basis than when you’re using HFO or MFO. If you clean your boiler once a year, then you may have to clean it every 8-10 months instead. This is due to PFO producing more ash than other fuels. Why Come to Ingoe Oils for Processed Fuel Oil? 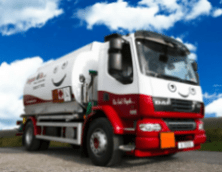 We can provide the fuel you need within 48 hours of receiving your order. We can deliver to you regardless of where you are based in the UK. Need fuel in a hurry? Our emergency delivery service can get your fuel to you within 24 hours. Our customer service team is one of the best in the business. If you want to place an order or simply have some questions, they will be on hand to help. Would you like to find out more about processed fuel oil? Give us a quick call on 0800 917 7493 and we will give you all the information you need.